The film’s tonal inconsistencies speak less to the struggles of its titular subject than to its own grasp-exceeding ambitions. Winnie Mandela, who took up her husband’s revolutionary torch during his decades in prison and spent years in solitary confinement and exile herself, sought peaceful means of challenging the status quo before caving to violent tactics, a path that led to accusations of human-rights violations and a politically necessitated divorce. 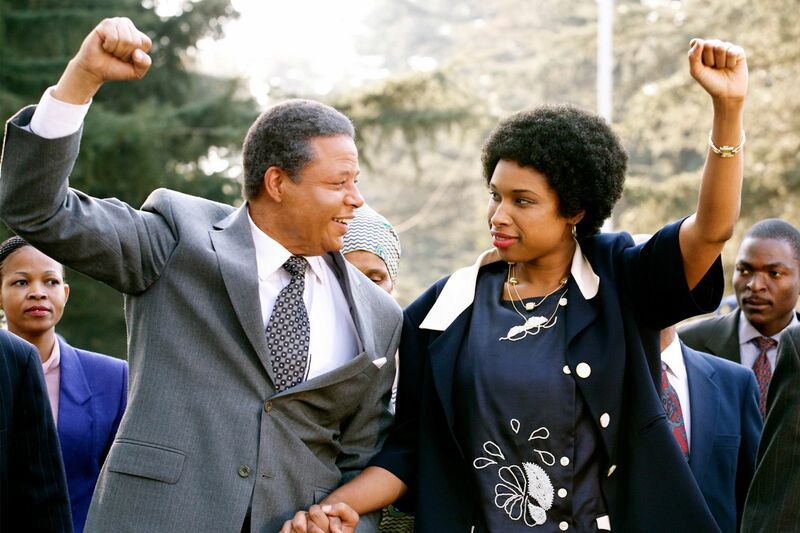 As South Africa’s “Mother of the Nation,” Jennifer Hudson is commanding in Darrell Roodt’s biopic, evoking the leadership qualities needed to sway a people to fight for a seemingly lost cause. 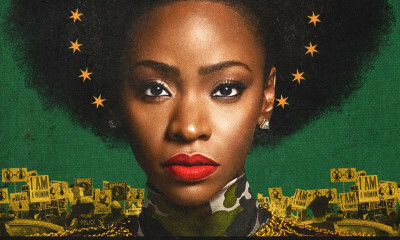 A pity, then, that her performance barely registers as a characterization, the by-the-numbers script giving her little to do besides recite platitudes, with one notable exception: an astonishing midsection during Winnie’s solitary confinement, in which she shields herself against her oppressors with song and poetry and befriends the ants in her cell. These scenes, which engage meaningfully with the systematic nature of oppression, stand in stark contrast to the dull history lesson the rest of the film amounts to. Flms about complex historical figures can do well to be ambiguous, even contradictory in nature, but Winnie Mandela’s tonal inconsistencies speak less to the struggles of its titular subject than to its own grasp-exceeding ambitions. Outside the confines of Winnie’s stone prison, Mario Janelle’s cinematography become stagnant, the occasional, overly grandiose crane shot straining for epic significance, succeeding only in exposing the film’s lack thereof. Elsewhere, the technical specs suggest post-production concessions, from the inconsistently employed date indicators to abrupt scene transitions. Worse are the many narrative and thematic shorthands—particularly the grating use of Elias Koteas as the face for unyielding white supremacy—that betray the subject matter’s complexities and continued relevance. Winnie Mandela assumes historical context and social relevance, and in doing so only constitutes lip service. Similar to Hudson’s titular figure in terms of wasted nuance, Terrence Howard’s impersonation of Nelson Mandela is impressive enough that one wishes it could be transplanted to another film—ideally one that doesn’t so closely resemble nothing more than a game of dress-up.